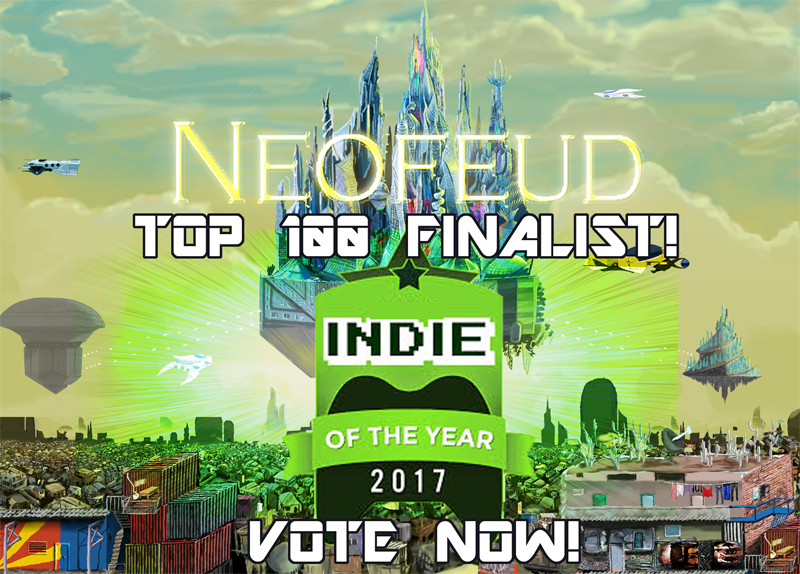 NEOFEUD IS A TOP 100 FINALIST FOR BEST INDIE GAME OF THE YEAR! Please vote for Neofeud near the top of this page! "The art, writing, programming and music* of Neofeud was created by one person, Christian Kealoha Miller, also known as 'Silver Spook'. He also performed half of the voice acting. Christian is a Native Hawaiian, born and raised in Hawaii. 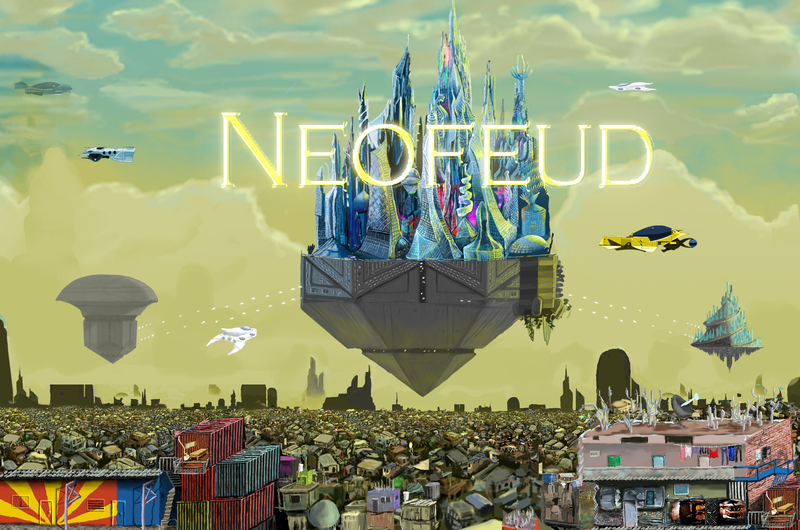 Neofeud is a Dystopic Cyberpunk adventure game in the vein of Blade Runner, but with an overlay of Game of Thrones-like political intrigue, and 1366x768, hand-painted, stylized visuals. 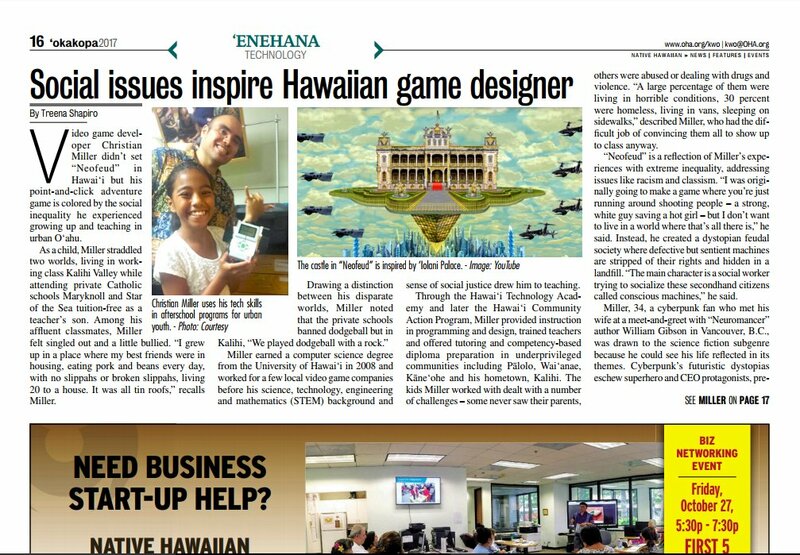 The art, stories and gameplay of Neofeud are a reflection of my experiences as a STEM teacher for the underserved youth of Honolulu's inner city. Teaching robotics, programming, and sustainability is an often difficult, stressful, and even Kafka-esque endeavor -- being in one of the richest, most beautiful places on Earth, yet dealing with families with working parents, who are living out of a van, or sleeping on the street. It is hard trying to keep the kids out of gangs, off of drugs, and on a path towards better opportunities, such as the ones I had growing up in a slum area of paradise while going to an upscale private school. I made Neofeud to be a fun and engaging game in and of itself, but I also wanted the player to think about the society in which we live, as well as the one which we may be heading toward if nothing is done." Read the rest of this article from Native Hawaiian Print Pubication, the Ka Wai Ola. Neofeud is the most visionary game on Steam evocative of the creator's passion, sparing what Metal Gear Solid V: The Phantom Pain could have been. Never have I seen a game produced by such a small studio translate a vision so well. It is a point and click adventure game wherein each line of dialogue is voice acted, and each scene has a MSPaint charm while expressing pure imagination, for example a chateau's ceiling where there is a painting of nearly infinite patterns, reflecting the royal's fascination with the godhead of technological transcendence. 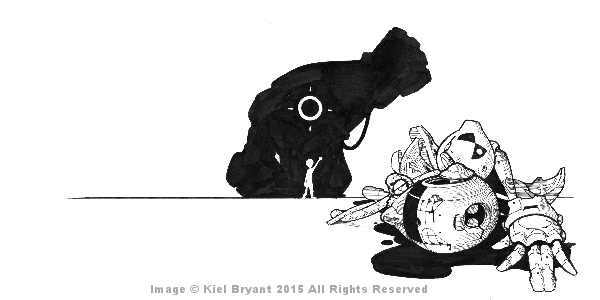 - UBI controlled slums filled with transgenic and outdated synthetics / androids deemed non-sentients and refuse. - Hypermodernity through a Baudrillardian simulation and simulacra of "consensus reality" interested rulers. - The sythesis of the contemporary prison and military industrial complexes. - Scepticism of the motives from those like Elon Musk who promote optimal adjustments to capitalism or late stage capitalism. Authenticity in social movements and how they're frequently co-opted; references to Public Enemy vs Kanye West. - What dwells in the abyss that is the coming convergence of science, technology, and society. If any of those topics interest you on a philosophical, economic, or social level and would like those topics paired with often times silly voice acting (for the better overall end results), please play Neofeud. edit: A lot of soul went into this project, and it shows. "The soundtrack -- created by Silver Spook himself -- consists of various flavors of electronica; an obvious choice, given the futuristic setting. And indeed it fits in perfectly. It's minimalistic when it needs to emphasize the dreariness of the slum world. Action sequences, in turn, are punctuated by a pounding beat -- whereas a distorted piano plano creates a watercolor-like backdrop to some of the game's most powerful moments of existential reverie. As mentioned already, the game is a full talkie. It's something that's expected of a modern game -- but the workload and the quality are actually impressive." And here is Christian performing "Proto-J", a short story set in the world of Neofeud. The story is performed in the voice of the character whom Christian voice-acts in the game. And finally, here is a hangout with a bunch of the folks who helped make Neofeud possible, including my long-time patrons Deborah Dunaway and Scott Smigiel. Deborah also voice acted several characters in the game. Chris R. Smith and Brandon C. Hovey, two great voice talents are also present. The other major voice actors and actresses who couldn't make it were Amayirot Akago and Mrs. Silver Spook / Holly The Robot. You can also vote for Neofeud on GOG! Want to see more of Neofeud? Check out the Playthrough! We're a little volunteer army working out of Section 8 and plumbing-free microhomes, so please consider a little donation! 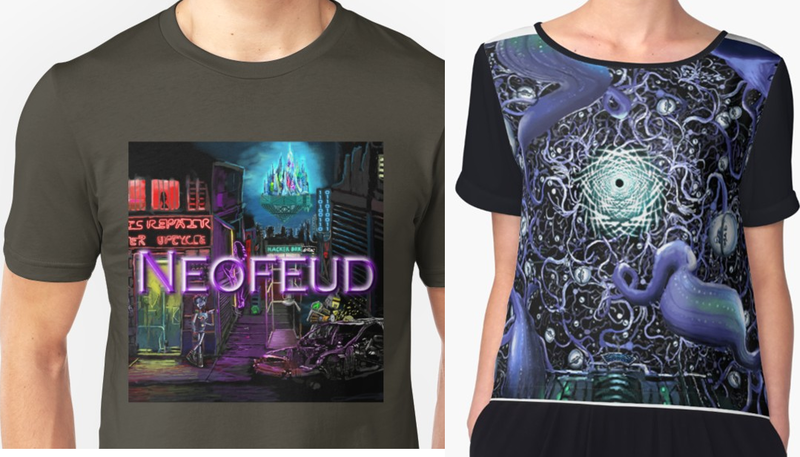 You'll receive the shoutout as an official "Neofeud" patron and receive the backstage-pass to our latest material. Bill Meikle, Ian Ruotsala AKA 'Xenophile', 'Minxilla', Noirjyre, and Benjamin Penney. 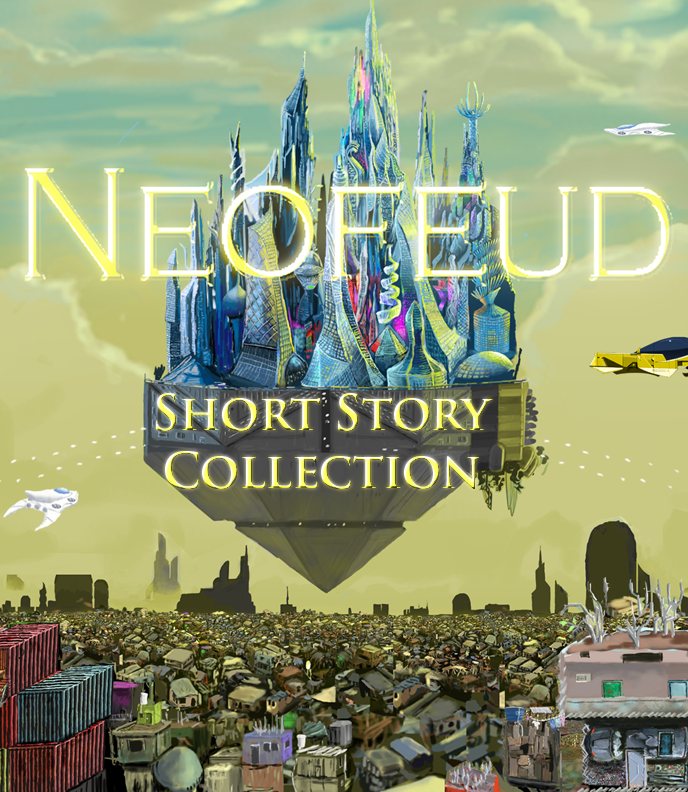 Also check out the Neofeud Short Story Collection! "In a dystopian future, the one-percent hover in glimmering golden sky-castles above a wasteland of destitution. A young 'low-born' seamstress' only chance to go from Cinderella rags to Kardashian riches is to be 'noticed' in a cosplayer competition, and to marry a ultra-wealthy prince or be picked up for a TV show by a megacorporation -- all while dealing with poor body-image and self-esteem issues, resulting from a society that doesn't need or want her. A sentient machine, one of millions of 'defective prototypes' mass-produced by tech-giants, winds up in a 'machine prison' due to 'substrate profiling' -- robot is the new 'black'. He's beaten, abused, and finally teams up with the robo-convicts to jailbreak from the supermax facility. Neofeud is a cautionary tale, a dark vision of where we may all be heading very soon, if we aren't careful. This series of short stories is set in the world of "Neofeud", a dystopic adventure game." A cyberpunk short story set in the world of Neofeud. Full-disclosure: I really need the money to fix my time machine. 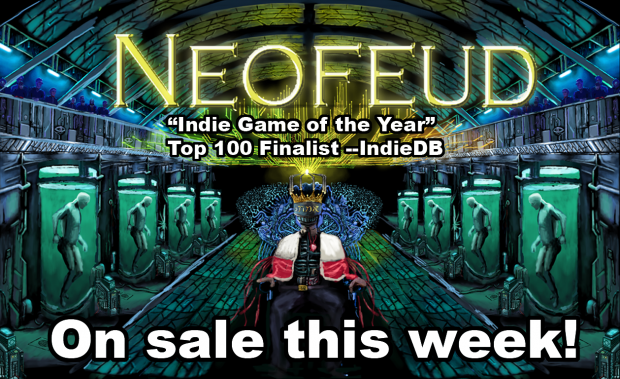 First up, Neofeud is real cheap right now at 60% off if you need a belated gift for that cyberspace cowboy / girll! 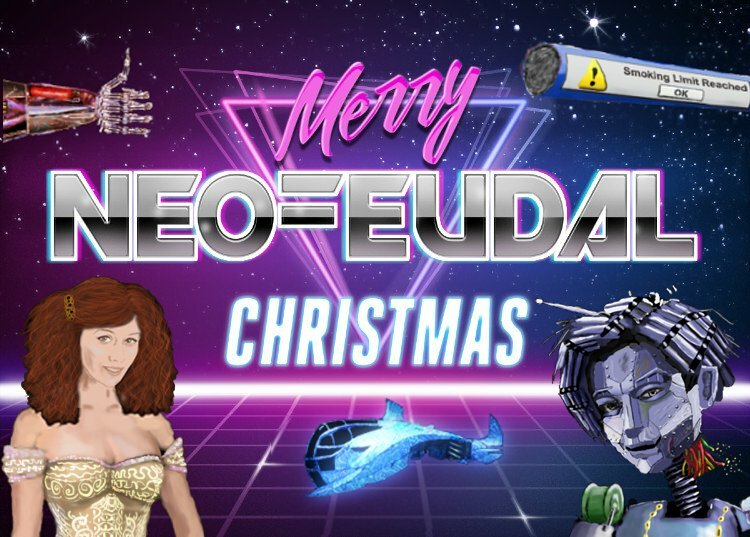 If you missed it, here was the Cyberpunk Dystopian Christmas stream in which we escaped difficult relatives and eating way too much food (or not having enough food, for some people, unfortunately), discussed cyberpunk sci-fi, adventure games, immersive sims, Silver Spook projects in the pipeline including Neofeud 2 and Terminus Cyberstar. 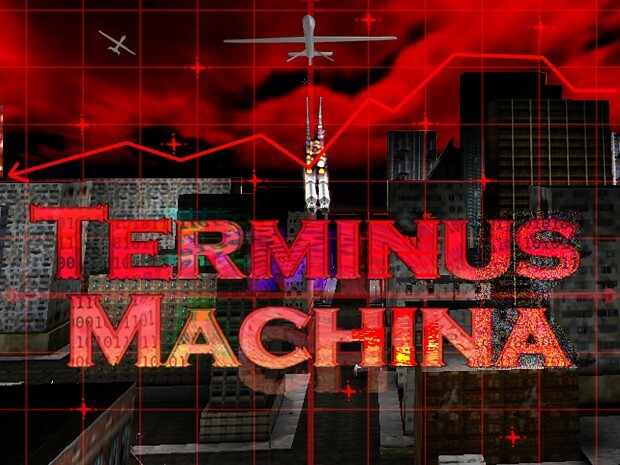 Also, we've just added a Discord for one of the two Silver Spook projects in production right now -- Terminus Cyberstar! Finally, I had a great time talking with the legendary Technocrat Games AKA James Dearden about Technobabylon 2, point and click adventures, Deus Ex, cyberpunk and more! Podcast coming soon. :) In the meantime, check out this podcast I did with James Dearden a while back! Neofeud In Top-25 Cyberpunk Games! With Deus Ex! Neofeud 50% Off On Steam + Itch! Neofeud is 50% off on Steam and Itch! Plus brand new screenshots from Neofeud 2, Silver Spook's take on Cyberpunk 2077, and the term "cyberpunk" itself! William Gibson Interview + Livestreaming from volcano in Hawaii! My interview with William Gibson, author of Neuromancer, and what it's like living within ten miles of the active volcano on Hawaii! It is coming as fast as it can! Wow, the song in the trailer is amazing! Who did the soundtrack? Hi Joey, thanks! I did everything from the art, programming writing, half the voice acting, and most of the soundtrack (43 out of 45 songs). It was a lot of work! The soundtrack actually comes free with the game right now (with the bonus content) until June 13! Major congrats for releasing the game, SilverSpook! :] A stellar achievement all around.